Let your students pledge allegiance to an attractive, elegant Classroom American Flag from Valley Forge Flag. 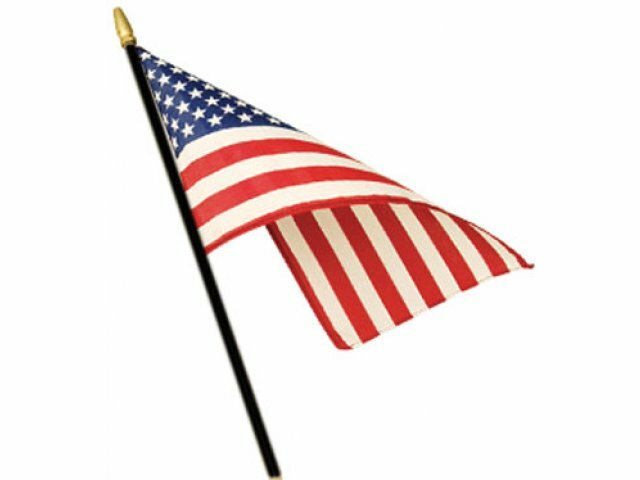 With a majestic appearance and practical design, this US flag will instill a sense of pride and importance in any child who is lucky enough to hold it. A black staff with a gilt spear creates a regal contrast to Old Glory's classic red, white and blue. The staff makes it easy for any child to hold the classroom American flag properly and really get it flying high. Encourage patriotism and appreciation for the land of the free by keeping a proper US flag in your classrooms. Elegant Presentation: A black staff with a gilt spear draws attention to the flag. 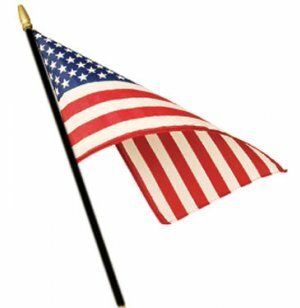 Prominent Size: The flag itself measures 24"H x 36"W.
Convenient Design: The polyester flag is mounted to the staff for easy holding and waving.